Many parents have experienced the same emotions you have this week, sending their sons and daughters off on the mission of a lifetime. Few have done it three times. Dr. Dwijen Misra has seen two of his children graduate from the Air Force Academy and a third will graduate in 2020. Misra shares his unique story in Reflections of a three-time Air Force Academy Parent. As cadets embark on six weeks of Basic Cadet Training, many parents are looking for meaningful ways to become more engaged with the Academy. Parent & Family Giving was established by the USAFA Endowment to help families play a transformative role in the success of their cadet through active philanthropy and volunteerism. 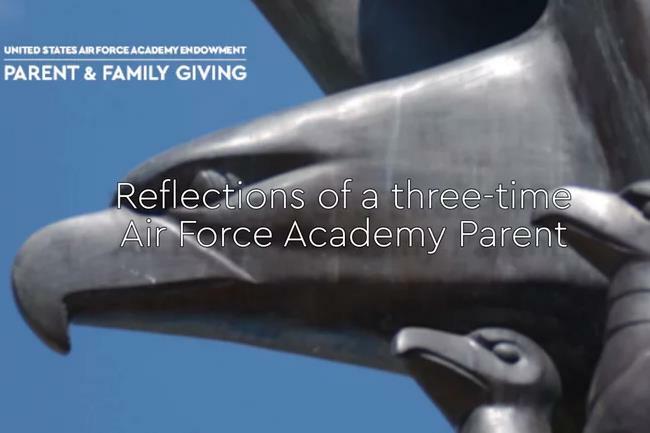 Serving cadet families through their office on the grounds of the Air Force Academy, Parent & Family Giving has an inside view of administrative priorities, campus activities and the day-to-day lives of the cadets. Learn more information about Parent & Family Giving at usafa.org/pfg.